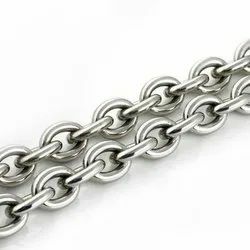 Leading Manufacturer of mild steel chains, stainless steel long link chains, lifting chains, stainless steel link chains, stainless steel pump chain and stainless steel loading link chain from Mumbai. Our esteemed customers can avail from us a precision engineered range of Mild Steel Chains as per their specific requirements. 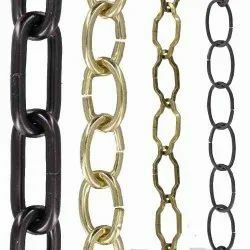 These chains are manufactured using high-grade mild steel, procured from some of the most trusted vendors of the industry. Moreover, we make sure that all the products are thoroughly checked on certain well-defined parameters to gauge their defect-free nature. 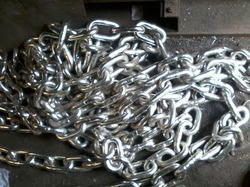 Our customers can have the best quality rated of Stainless Steel Long Link Chains. They are of the international standards in the market available at nominal rates. They are made by the skilled workers and can be assured to have greater longevity and for the superior quality of raw material used in the manufacturing process. Known for the high quality and the best results some of the features of our products are listed below. We are the leading manufacture and supplier of Lifting Chains that find its use in various applications in several establishments. We provide world class quality approved chains which are graded with first grade materials. 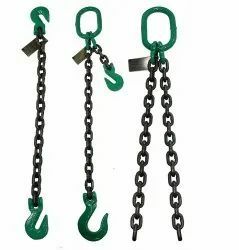 A wide variety of top quality of Chains is available at very economical prices. Further, the offered range is stringently tested on various parameters of quality in order to ensure its flawlessness. 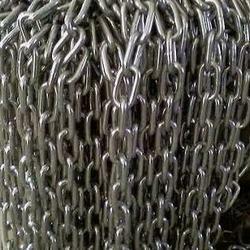 Our customers can have the best quality rated of Stainless Steel Link Chains. They are of the international standards in the market available at nominal rates. They are made by the skilled workers and can be assured to have greater longevity and for the superior quality of raw material used in the manufacturing process. Known for the high quality and the best results some of the features of our products are listed below. Being a leader in the industry, we are engaged in offering a qualitative range of Stainless Steel Pump Chain to our clients.